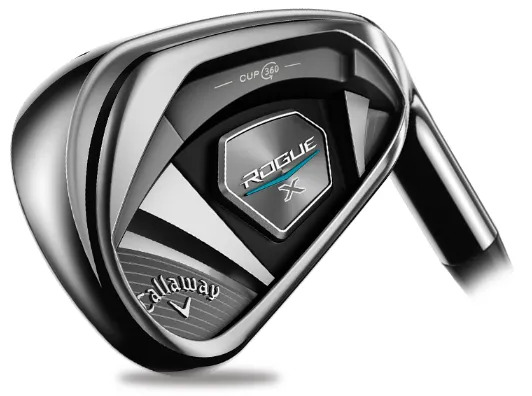 The Callaway Rogue X Irons are an extreme distance package. You will hit them further. Probably at least one club length longer. The lofts are stronger, but are there implications? Although the loft of a Rogue X #7 Iron is only 27°, that is no longer the relevant number. There are a couple of additional data points we need to examine. The Rogue X is made with lightweight, but strong components. Discretionary weight is created. Designers can go to work on making it easier to launch the ball higher. Come and hit your current #8 Iron, and then your current #6 Iron, and let’s record the key data. Then hit a Callaway Rogue ‘X’ #7 Iron. You’re going to get a surprise. And that surprise will extend beyond the added distance, to the improvement in consistency.